At first glance, voters share general concern about the US election system. But a closer look reveals a sharp partisan divide: depending on which party they belong to, voters worry about completely different threats to democracy. According to data from an NPR/Marist poll conducted earlier this month, about 40 percent of registered voters report significant doubts about the security and reliability of American elections. More Republicans trust in the system than Democrats — normally, confidence correlates closely with power. Moreover, the partisan tendency maps closely with the issues party leadership focuses on. President Donald Trump, with the support of officials like Kansas Secretary of State Kris Kobach, focuses on the unsubstantiated threat of illegal voters and widespread fraud. As a candidate, Hillary Clinton fixated on the Russia question. Little attention has been paid by either one to the potential influence of voter suppression. Pollsters interviewed 949 adults, 777 of whom are registered voters, and found that the landscape is grim. Trust in elections runs low — a fact that Dr. Lee Miringoff, professor of political science at Marist College, thinks stems from a larger discontentment with national institutions. Respondents identified certain common concerns, but stark partisan divisions stand out: 91 percent of Republicans feel that elections are fair. Only half of Democrats agree. Whereas Republicans identify voter fraud as a leading risk to election security, Democrats cite foreign interference. Nearly half of Trump supporters consider voter fraud a “very likely” risk, an opinion just 13 percent of registered Democrats share. The inverse proved true for the threat of misinformation from Russia. Over half of Democrats fear that Russian social media campaigns could influence the midterm elections by manipulating public opinion through targeted advertising on platforms like Facebook. Given the scope of the security issues at hand, some voters want more hands-on involvement from Washington. Democratic and nonwhite voters think the federal government holds primary responsibility for ensuring safe and secure elections, an opinion neither Republican nor independent voters share. 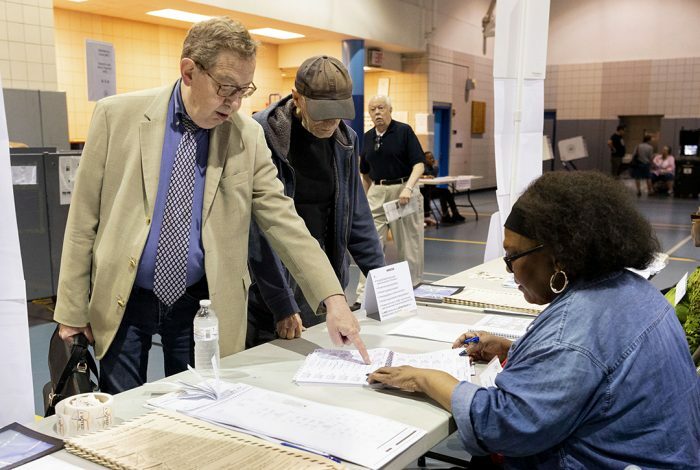 The poll results underscore the struggles that many voters face in exercising their franchise — issues that a recent report from the US Commission on Civil Rights explored in detail. Overall, nonwhite voters expressed much greater concern over obstacles at the ballot box. More than half of registered nonwhite voters surveyed feel it was likely — or very likely — that their eligibility would be questioned at the polls, compared to about a third of white voters. Black voters have a much harder time getting to their polling sites than any other group, sometimes traveling up to twice as far as their white counterparts. Both Black and Latino voters reported being challenged by poll workers far more often than white voters. Indeed, 12 percent of black voters reported being told they lacked sufficient identification to prove their eligibility to vote. Just 1 percent of white voters reported the same. A rare consensus appeared around paper ballots: more than two-thirds of voters — across partisan, geographic, and racial lines — believe in pen-and-paper elections. But at the same time, Republicans expressed more confidence than either Democrats or independent voters in the potential of electronic voting to increase security. In five states, voters will cast their ballots on machines that leave no record of ballots cast. Direct-recording electronic machines, or DREs, have come under fire since the 2016 election. Most recently, this type of machine was the subject of a lawsuit in Georgia, where citizens pushed to replace the state’s DREs with paper ballots for the upcoming midterm elections. A district court judge didn’t honor their request, and voters will use the machines in November — despite evidence of the risks involved. The problem is hardly unique to Georgia. 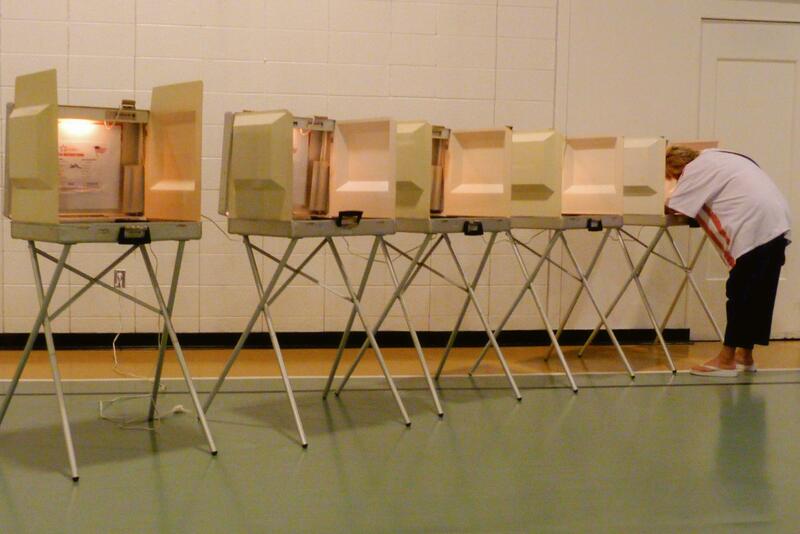 Many states have yet to replace old and vulnerable election equipment, but the process is slow-moving and often underfunded. Congress allocated $380 million to ease the transition. The available funds, though, are by and large insufficient to cover the costs of upgrading or replacing equipment and to educate voters about new Election Day procedures. With low confidence across the board, many worry about voters showing up to cast a ballot. But despite the widespread concerns about the security and safety of the ballot box, the November elections hinge on voters showing up to vote. During the last midterm elections, in 2014, just 37 percent of registered voters showed up at the ballot box — the lowest rate since World War II, according to the nonprofit VOTE. “This is a very troublesome issue for our democracy,” Miringoff said. Related front page panorama photo credit: Adapted by WhoWhatWhy from pencil (Cookieater2009 / Flickr – CC BY 2.0).